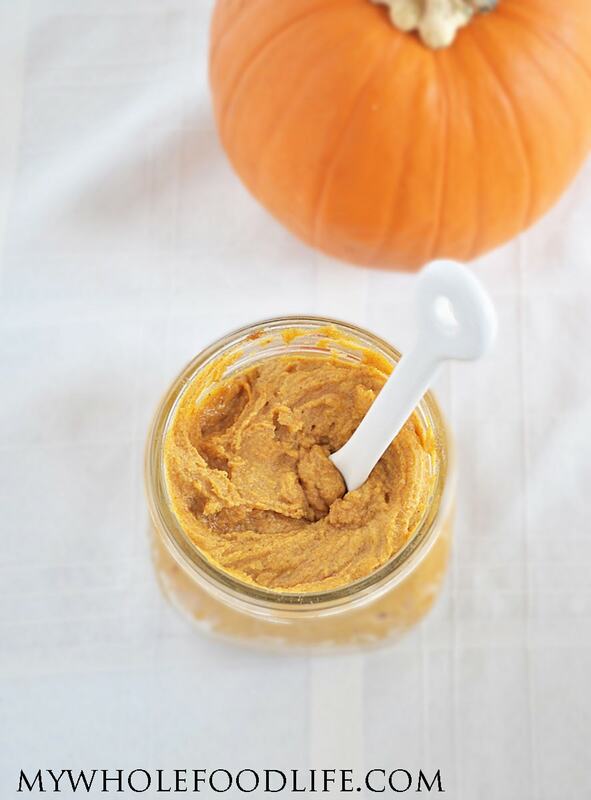 Pumpkin Coconut Butter is awesome!! Have you tried coconut butter? It’s so amazing. It’s melt in your mouth delicious. I use coconut butter in a lot of my raw desserts. So I decided to create a Fall inspired coconut butter recipe. That is how this pumpkin coconut butter came to be. It would make a great spread for toast, you could swirl it in overnight oats or even melt is and drizzle on pancakes or ice cream. Yum! Of course if you don’t want to use this dreamy coconut butter in all of my suggestions above, you could just eat it with a spoon! I’m not gonna lie. I had a few spoonfuls of this in the process of making it. Hey, I got to taste test right? 🙂 This coconut butter is vegan, gluten free and paleo. Just about everyone can enjoy it. You can whip it up in minutes! A festive spread full of flavor! 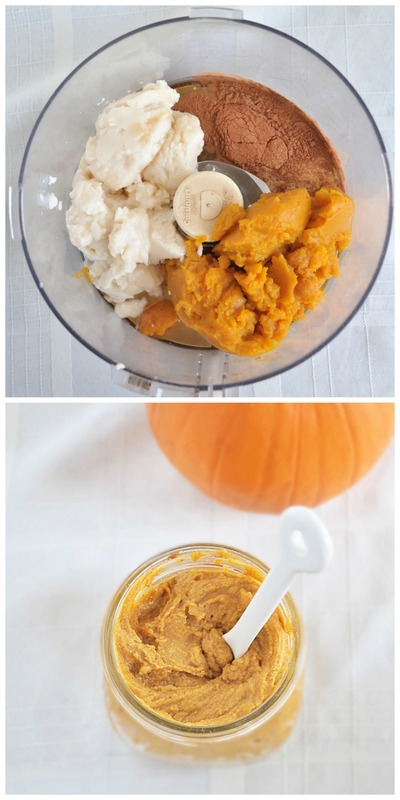 In a food processor , combine all ingredients until smooth. Please store this pumpkin coconut butter in the fridge. It should keep for a few weeks. You may even be able to freeze it, but I haven't tried. I store mine in a mason jar. Enjoy! This spread may harden slightly in the fridge. All you need to do is stick the jar in a bowl of very warm water and it will soften right up. I could eat this right out of the jar!! Thanks for the recipe!! How do you think this would turn out using cashew butter? OMG, I'm drooling right now! I cannot wait to make this. YUM. Yum!! Can't wait to make this with some leftover pumpkin puree! What could you use this for pumpkin butter with? I am curious as this sound good. Melissa, Thank you for the info. Enjoy your vacation! This was SO. GOOD. Thank you for the brilliant recipe!